After the disappointing match against Rwanda in the Super Eagles’ opening fixture of the CHAN tournament, Salisu Yusuf’s wards owe fans and themselves a spirited and fruitful performance against Libya. The Super Eagles will need to produce a more clinical and prolific performance after the goalless draw in their opening game of the tournament. The game at some point looked high-strung in Super Eagles’ vehement search for a goal. Efforts were wild and lacked accuracy. The team many times seemed lacking in both idea and execution as they walloped the ball from impossible distances. When there was a bit of thought to fashioning a chance, it looked as though the team was keen on winning a cross-bar challenge. The Libyans are a genuinely different proposition from the Amavubi. While the Rwandans barely posed a threat, Omar Al-Marimi’s team thumped Equatorial Guinea for three with Saleh Taher notching a brace and winger Mohamed Aleyat having a hand in all the goals scored. The Mediterranean Knights were exciting and carried the ball forward with pace and purpose. The Super Eagles defence will need to curtail the darting runs of Aleyat on the left. Fullback, Osas Okoro who offered width on the right might need to be more conservative in his trips into the attacking third of the field. Up front, the search for goals could see Salisu Yusuf turn to Ibrahim Mustapha in place of Anthony Okpotu who looked dispirited and detached while Sunday Faleye is certain to retain his place in the squad after his positive performance on the left of the attack. 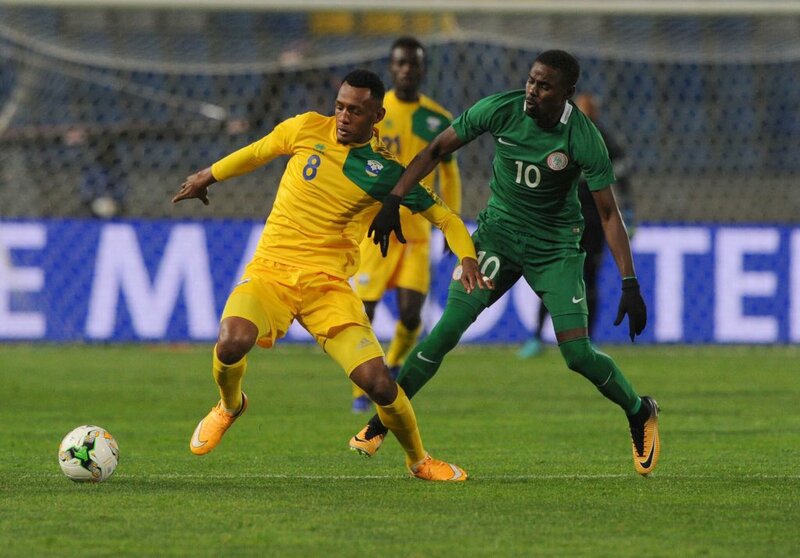 Victory for the Super Eagles would represent a response to the farcical display in the first game against Rwanda. It also puts the NPFL ensemble on the path of qualification out of the group. The match kicks off today at 05:30 pm at the Stade Ibn Batouta.